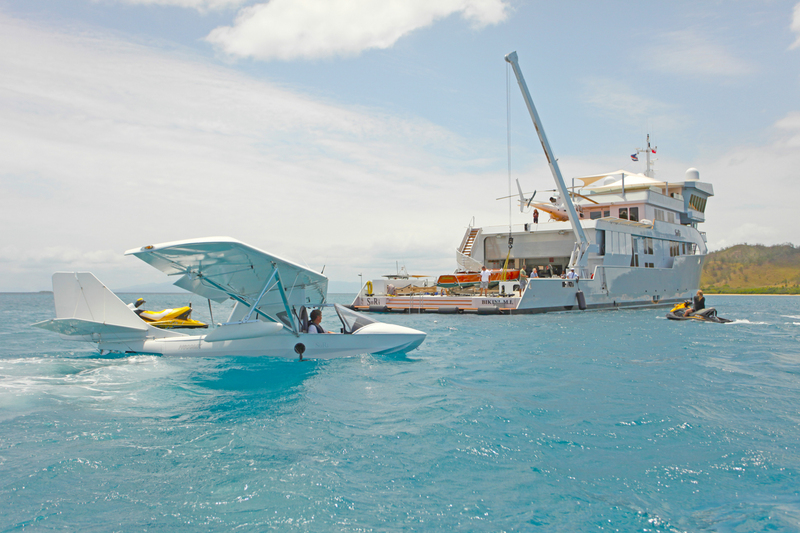 Sometimes, you want to jump aboard a small catamaran and sail at top speed along a picturesque stretch of coastline, where the options to jump on and off your luxury yacht, and explore the onland treasures, are a dime a dozen. 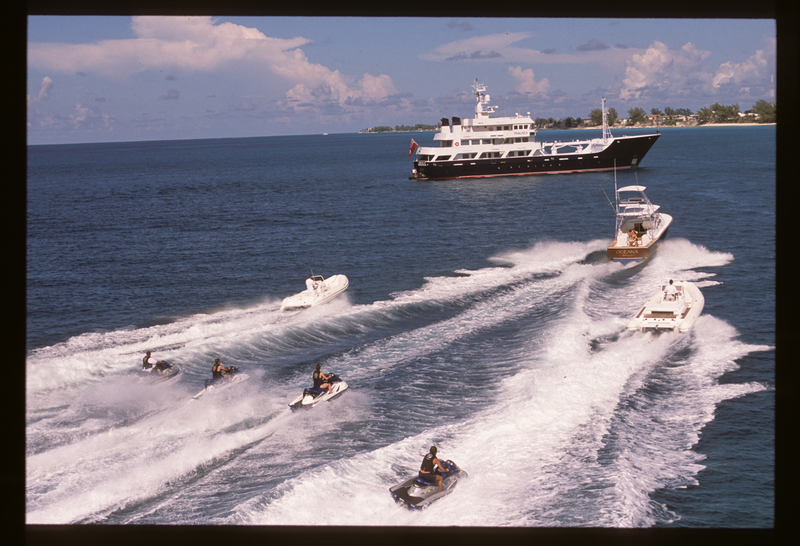 And sometimes, you want to cast off on a long-haul, adventurous expedition on the high seas where land stops are few and far between. 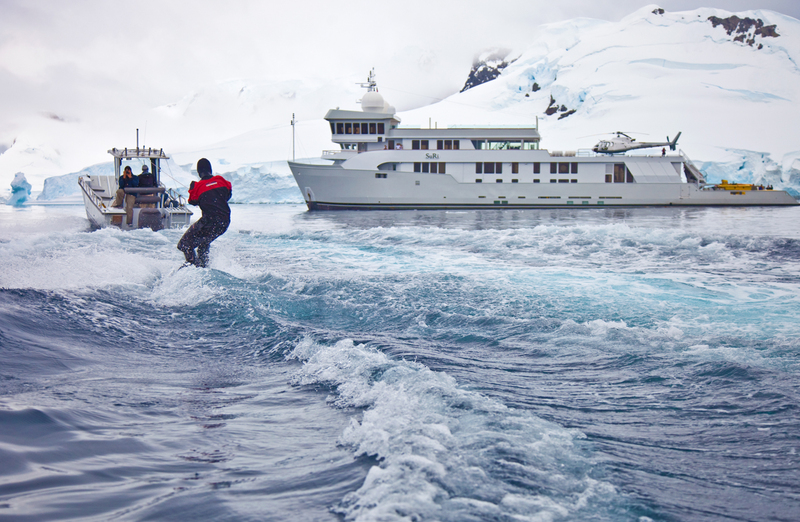 For these kinds of adventurous holiday breaks, expedition yachts charters are what you’ll need. 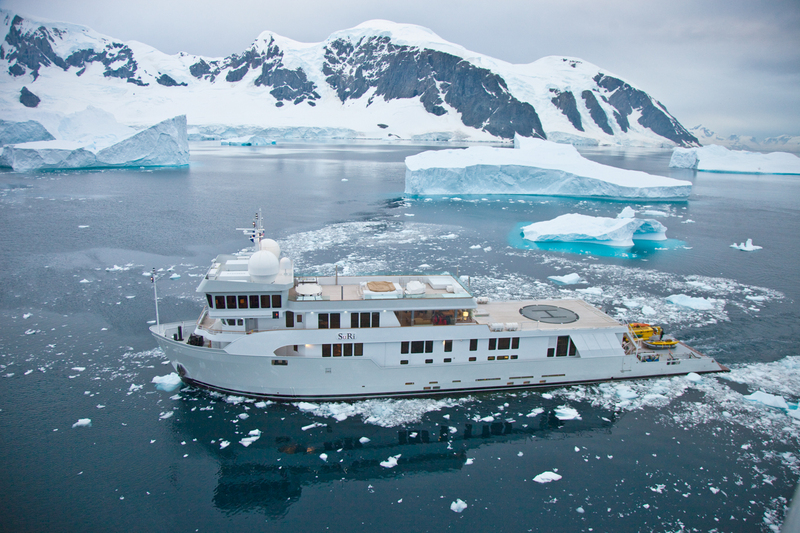 Sturdy, capable, and able to tackle long-range sailing and rough sea conditions, expedition yacht charters are the preferred options by those who still wish for style and comfort (which they’ll get) but also greater flexibility to be self-sufficient for longer periods of time. 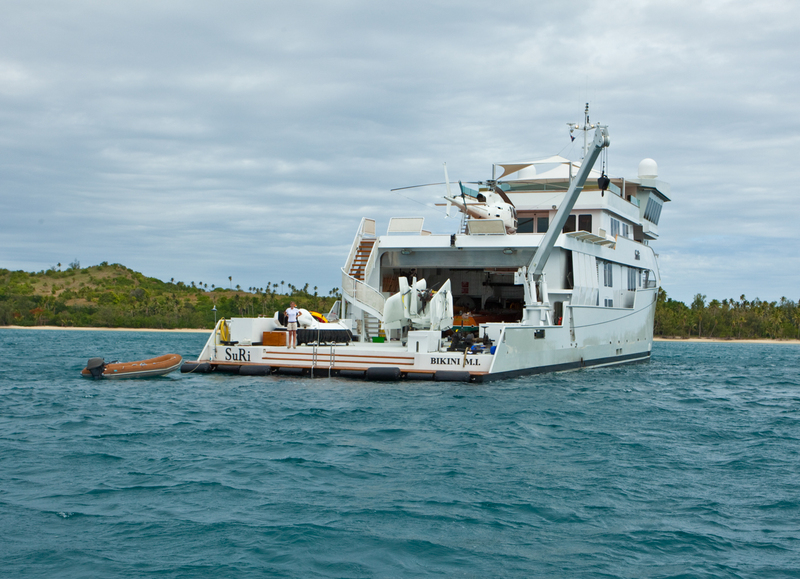 Powerful, durable and with deep displacement hulls for greater stability, our expedition yachts charters are designed with long-range sailing in mind. 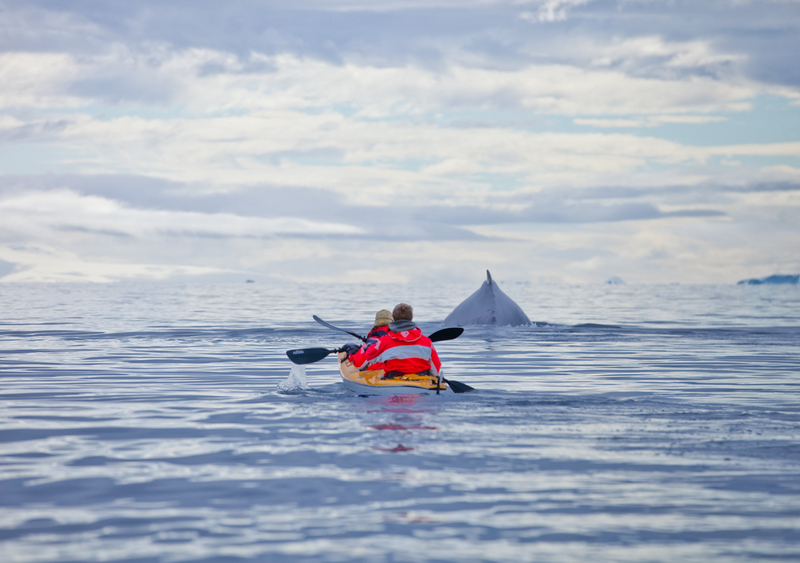 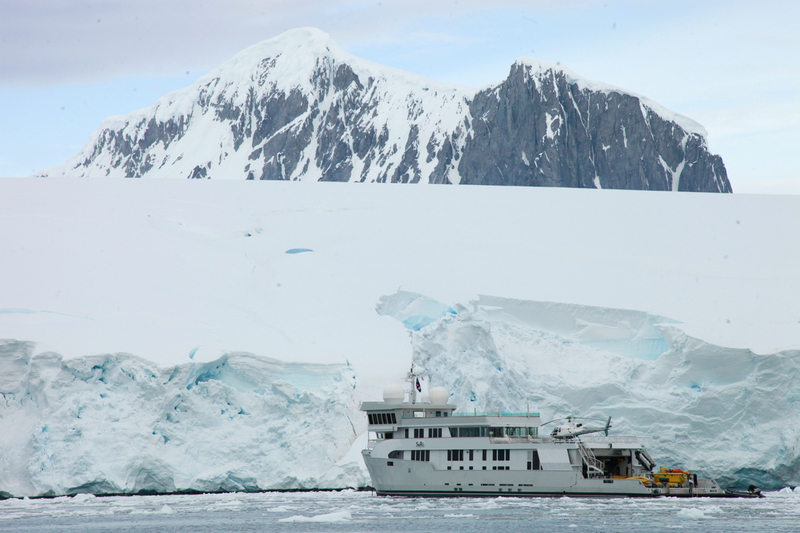 Discerning adventurers - who dream of exploring the most remote reaches of our planet’s oceans - can do so with ease without being burdened by refuelling and restocking stops. 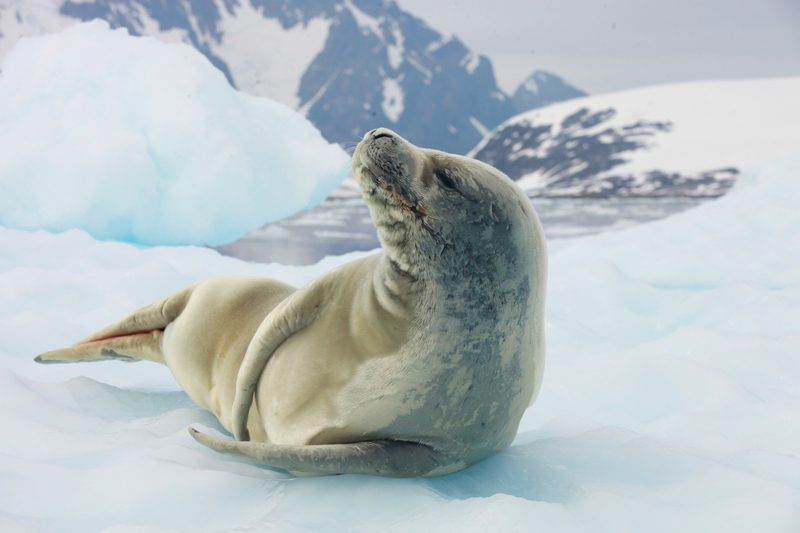 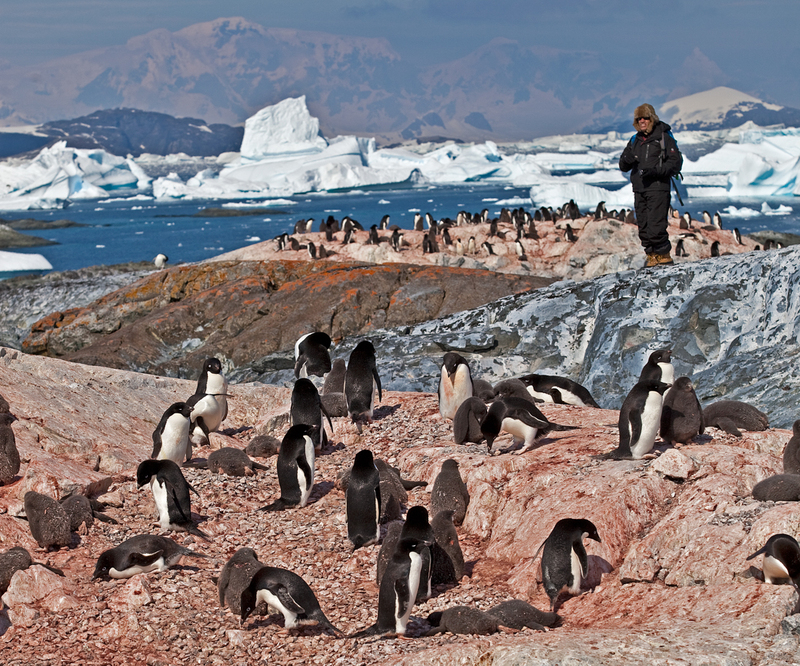 Nature and wildlife aficionados can relish in exploring secluded reaches of the South Pacific or the rugged coastline of South and North America, including the spellbinding glacier regions of Alaska, revered as some of the most unforgettable of all. 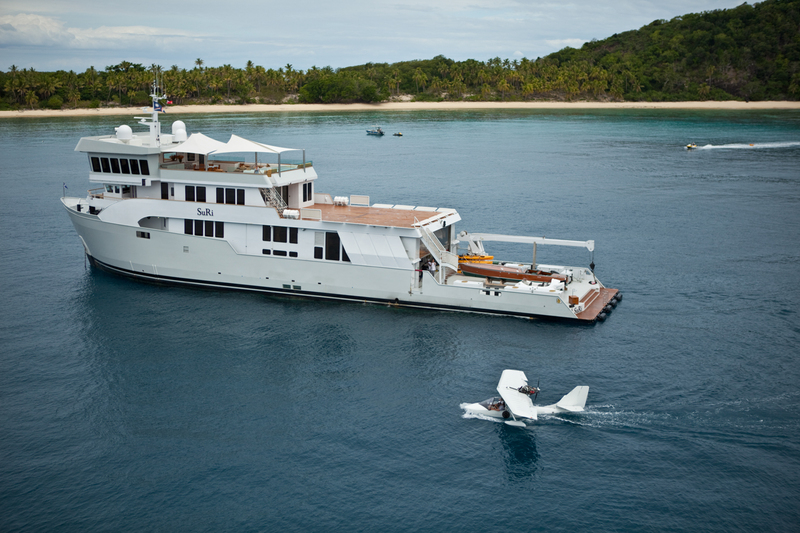 The world still boasts plenty of remote and little-explored corners, which are impossible to visit on an ordinary yacht. 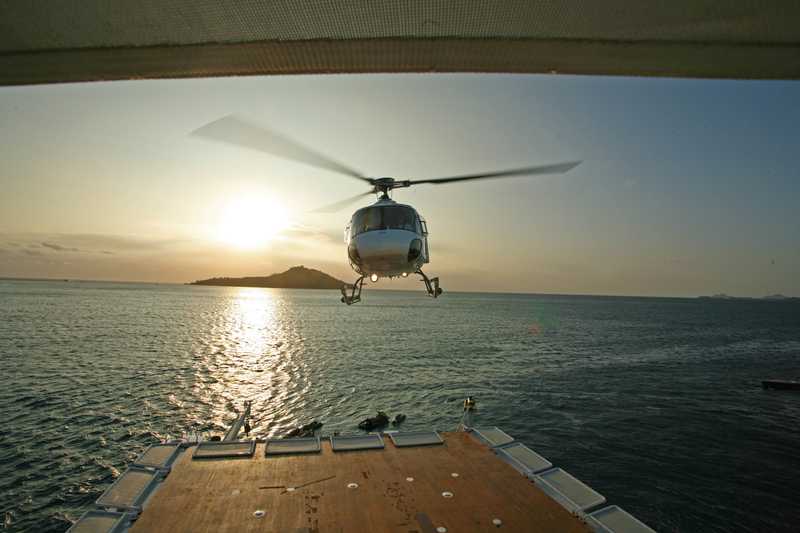 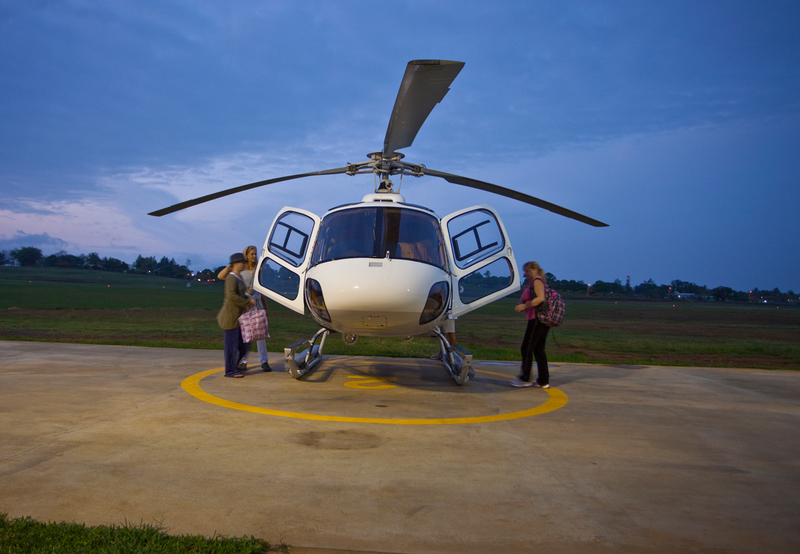 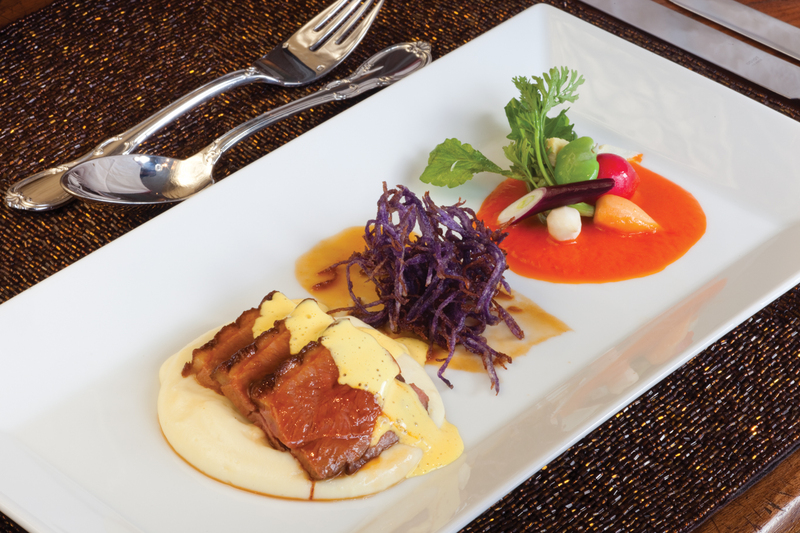 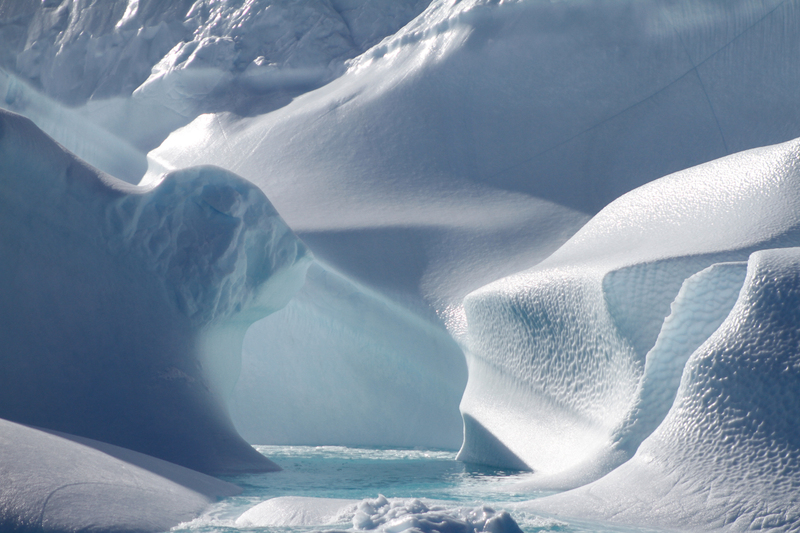 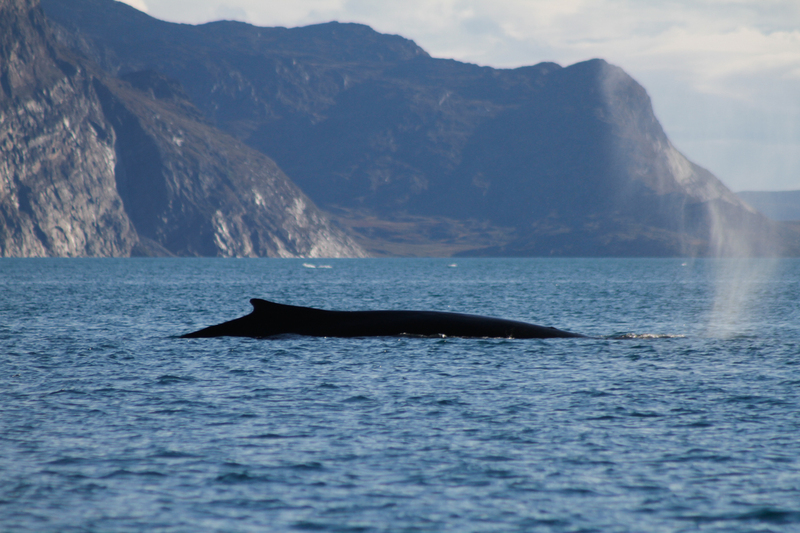 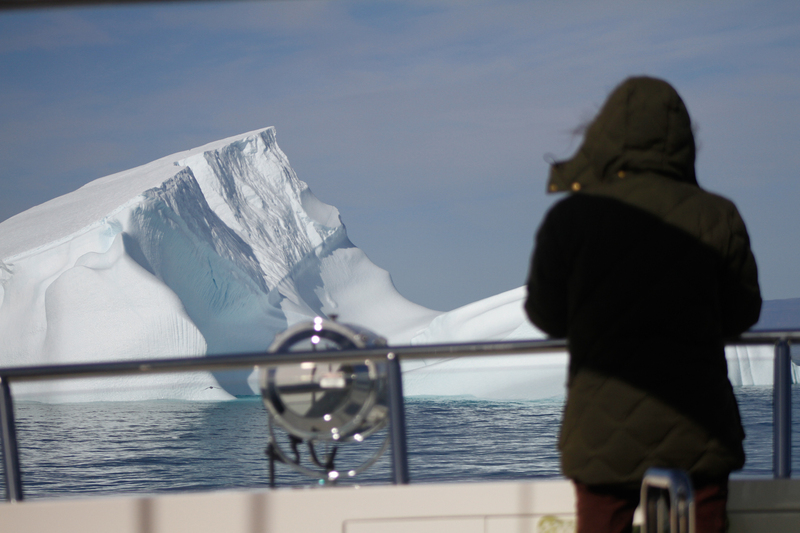 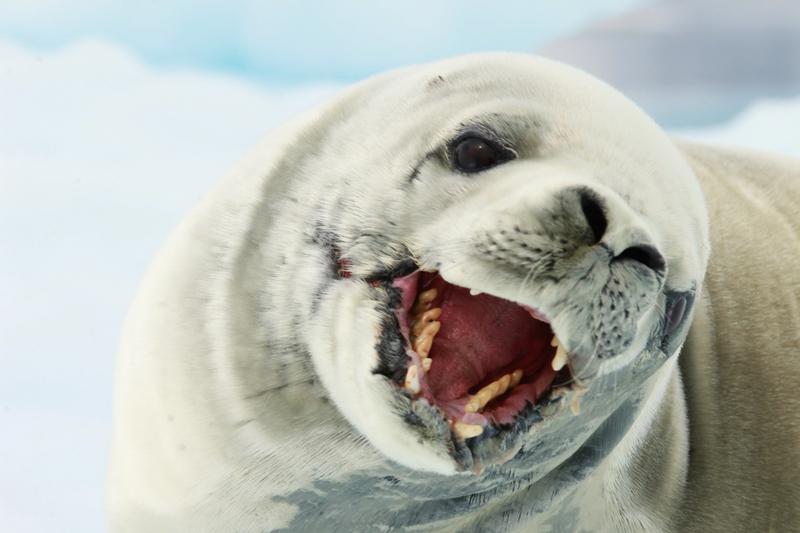 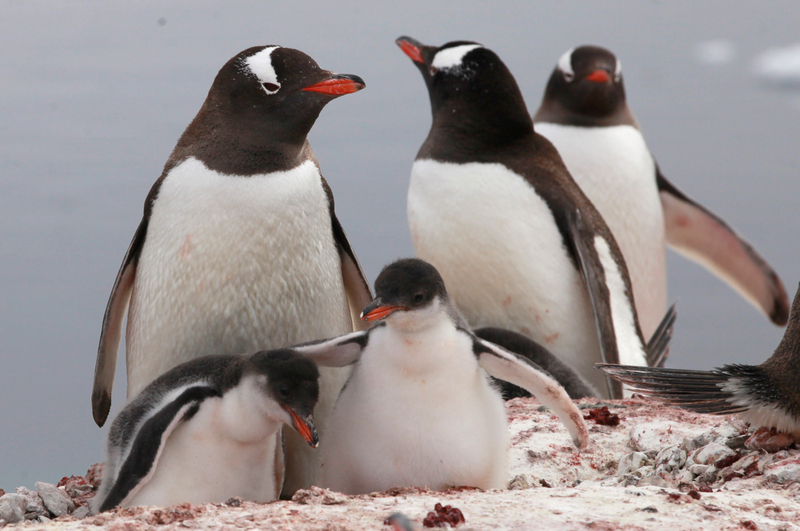 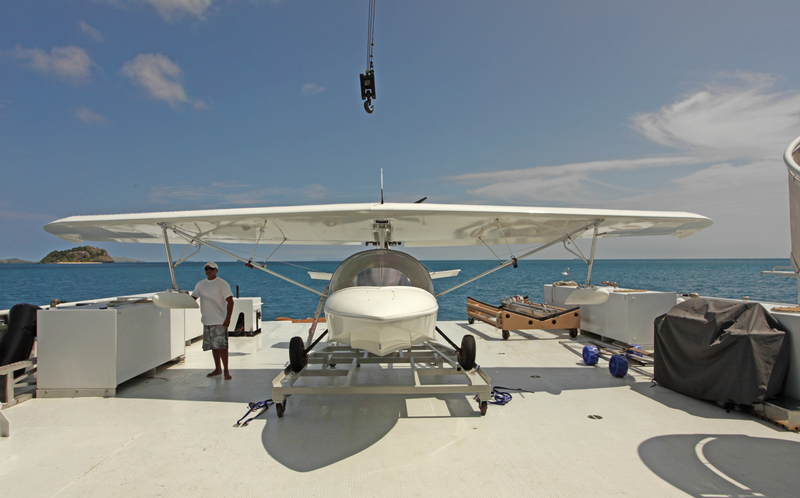 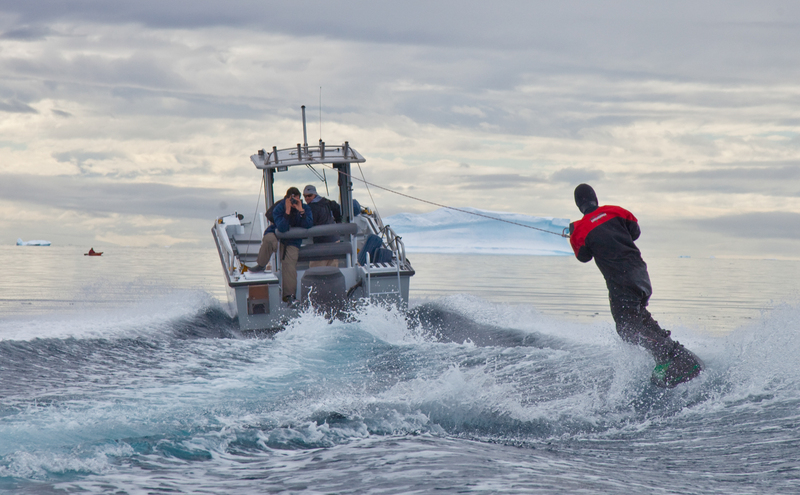 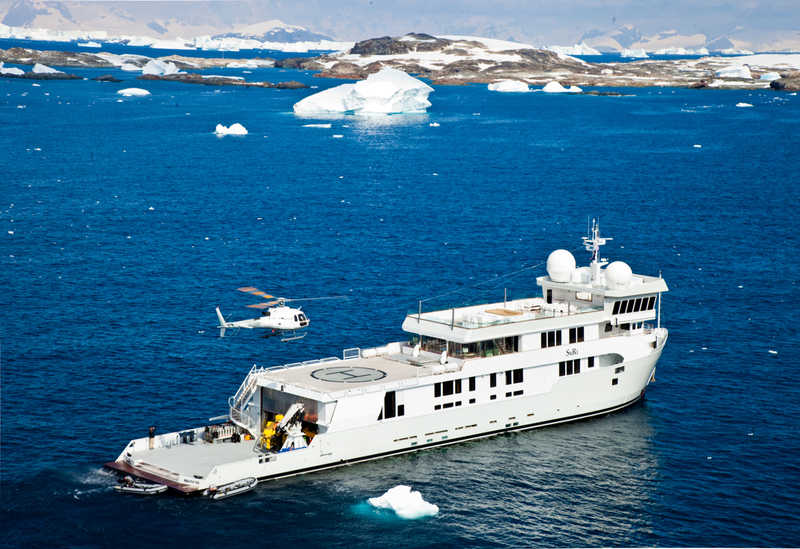 Our expedition yacht charters make the impossible possible! 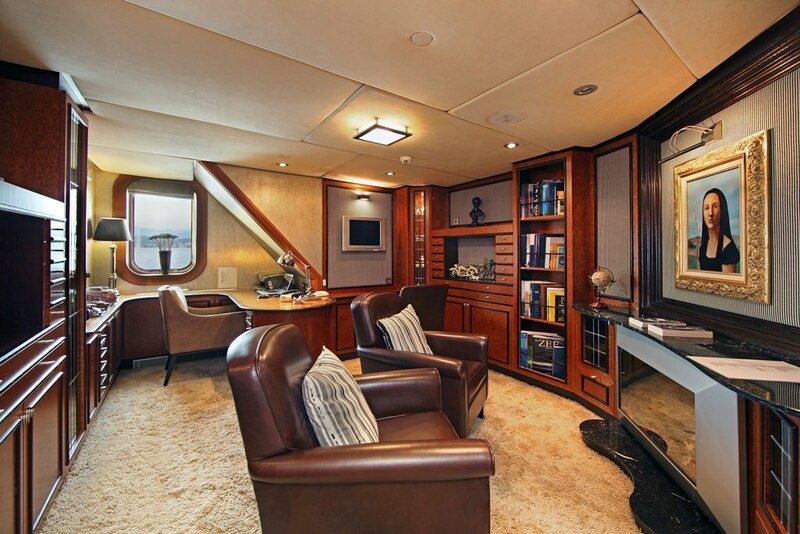 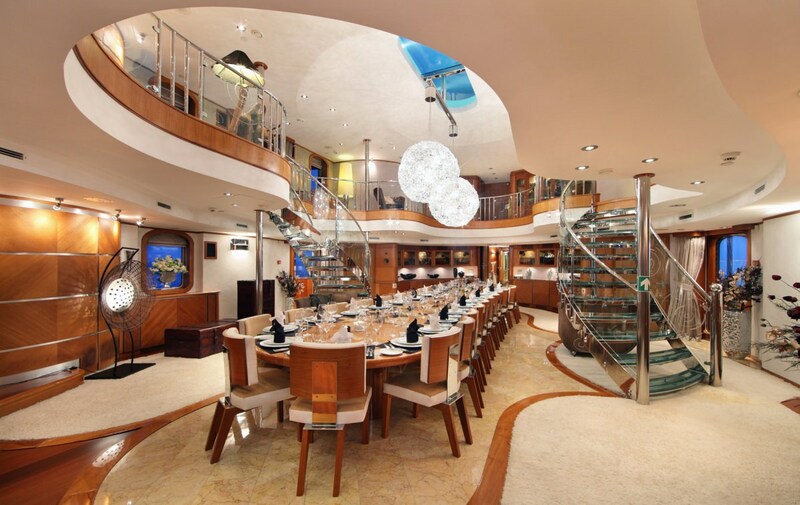 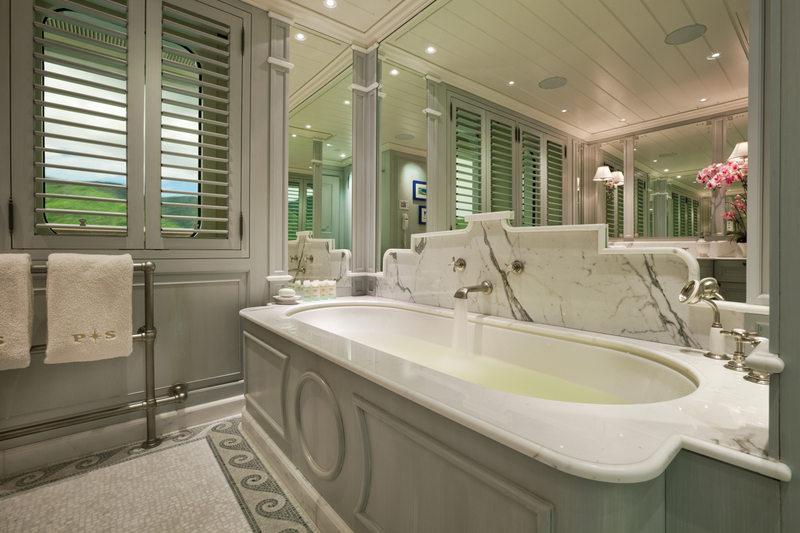 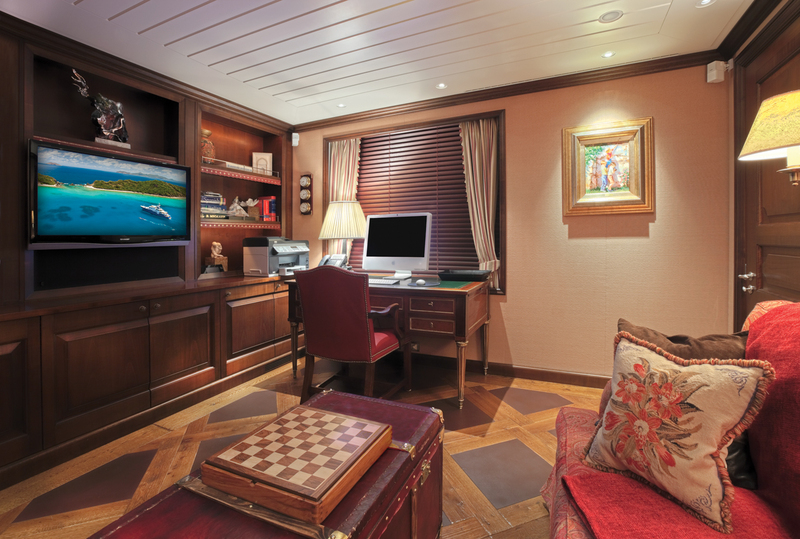 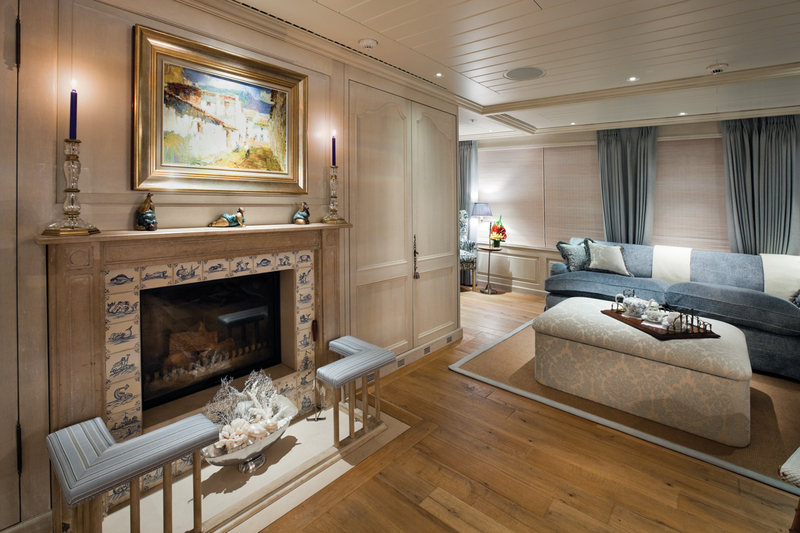 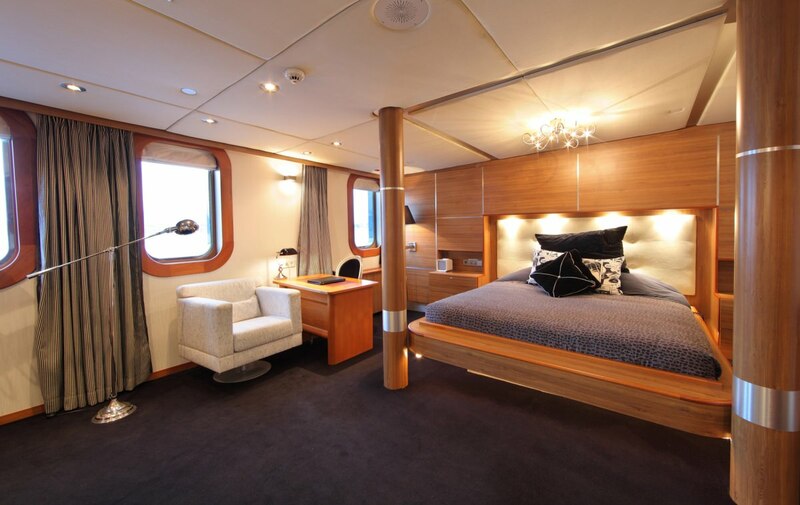 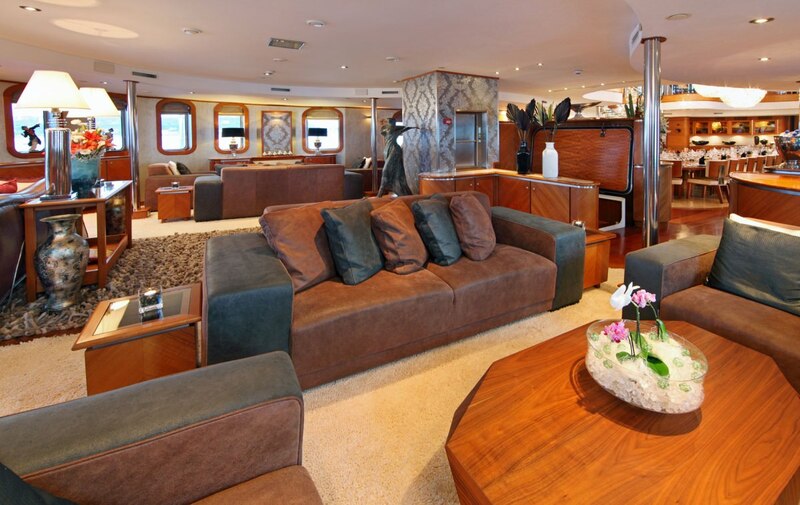 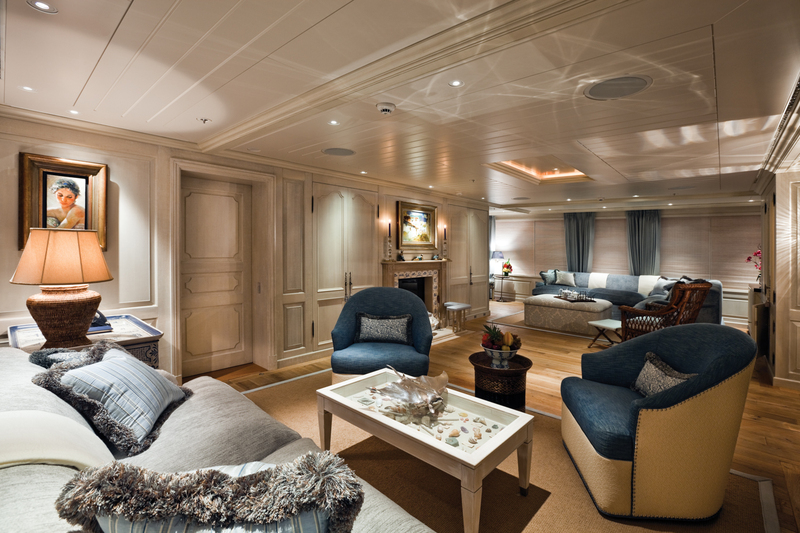 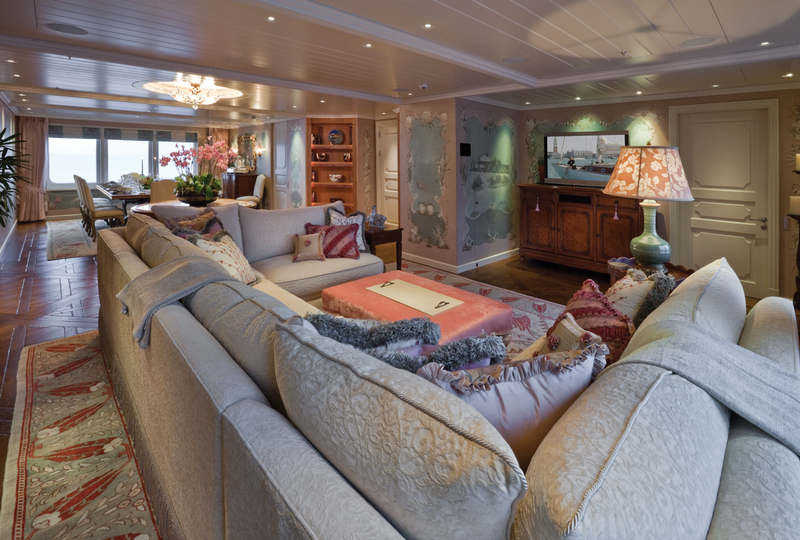 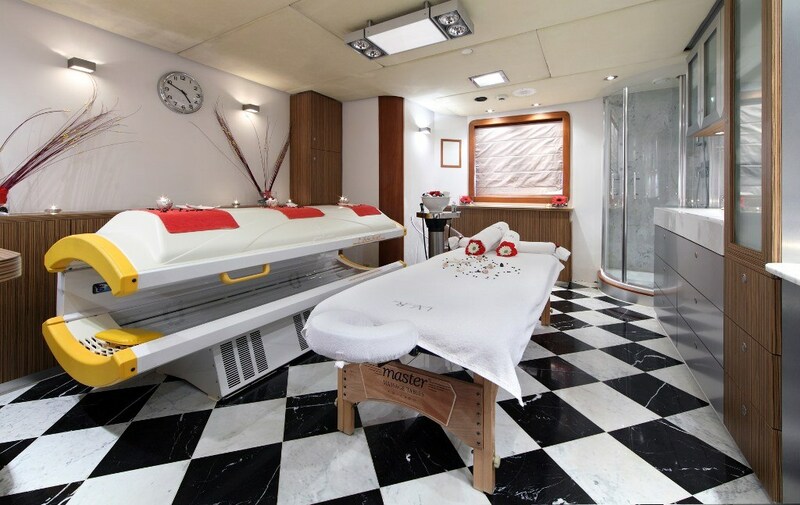 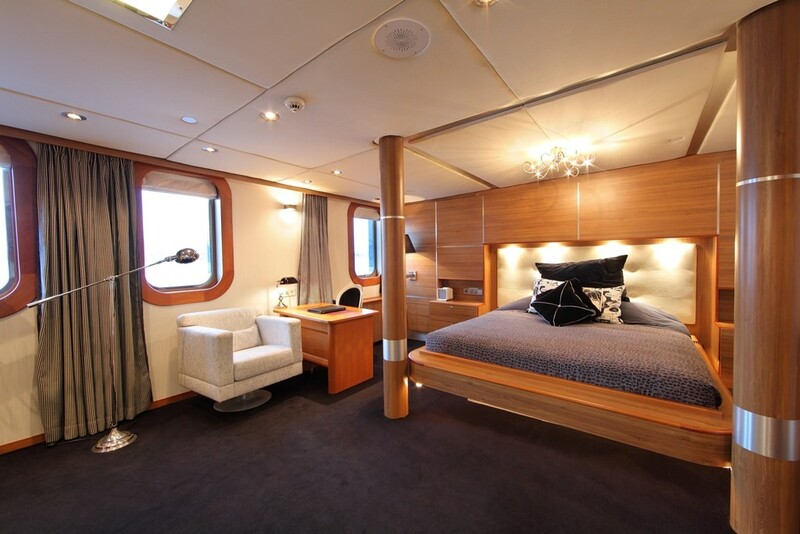 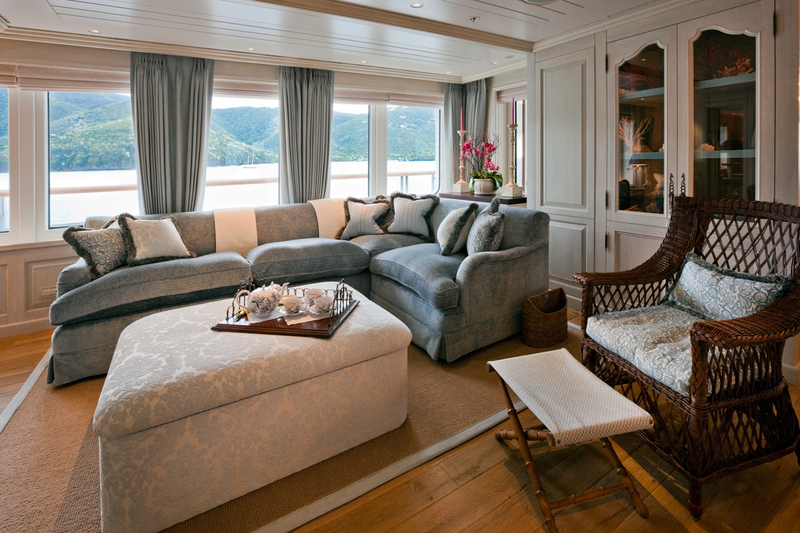 The interior of expedition yacht charters still offer the kind of elegant comfort you’d expect of a luxury charter, yet usually offering added outdoor living space thanks to their extensively larger size. 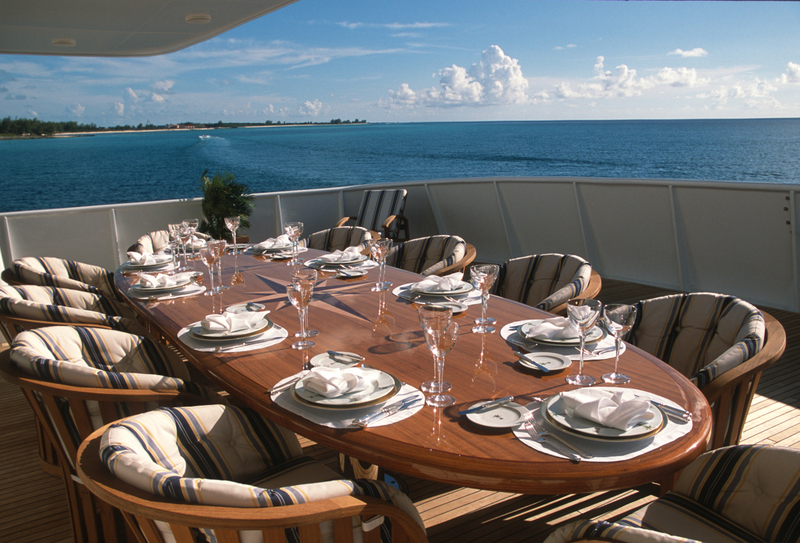 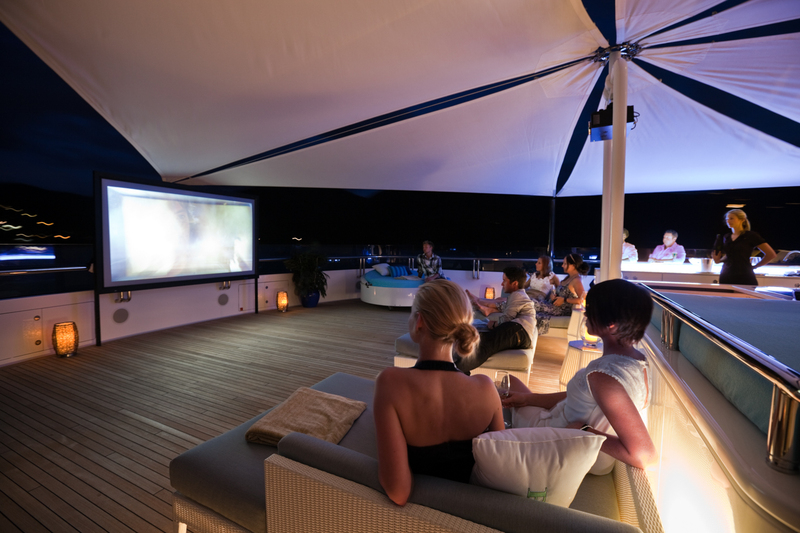 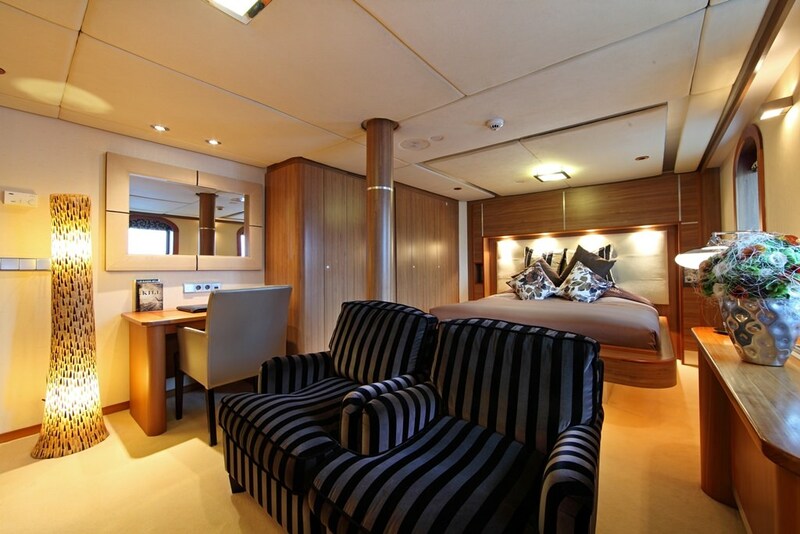 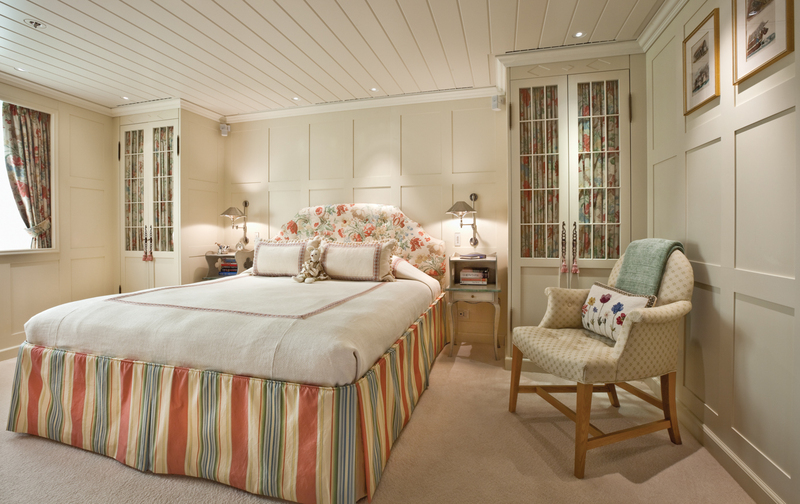 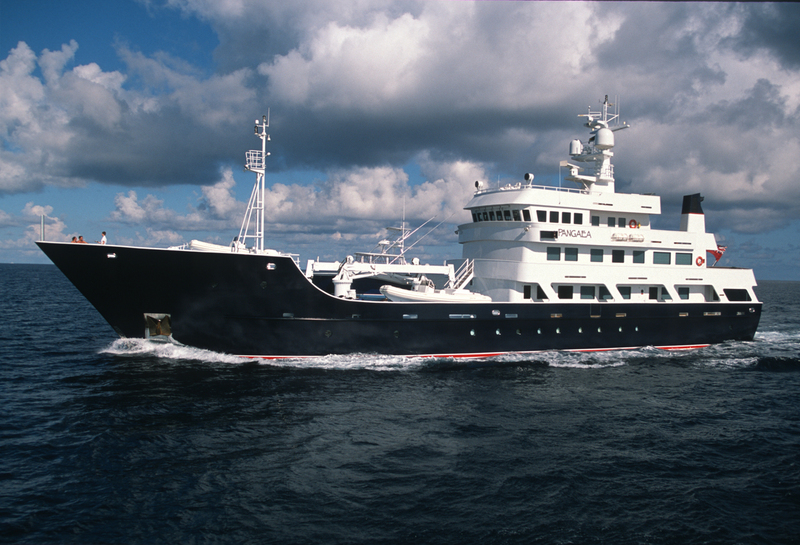 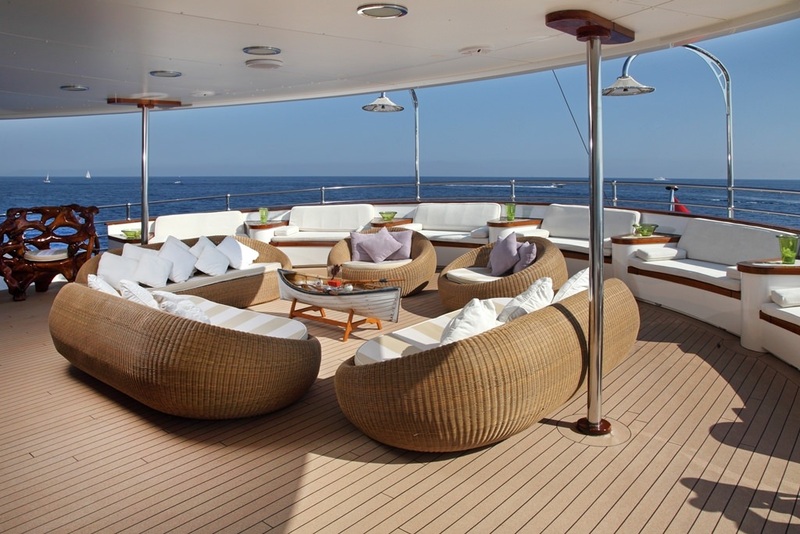 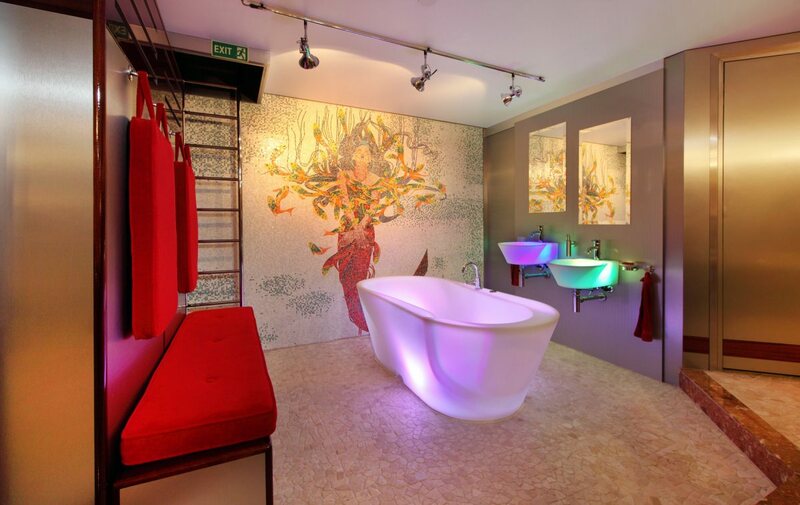 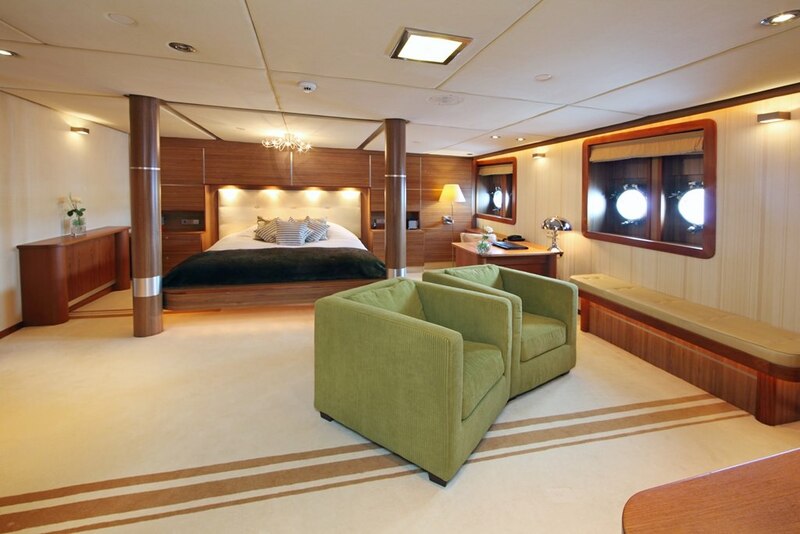 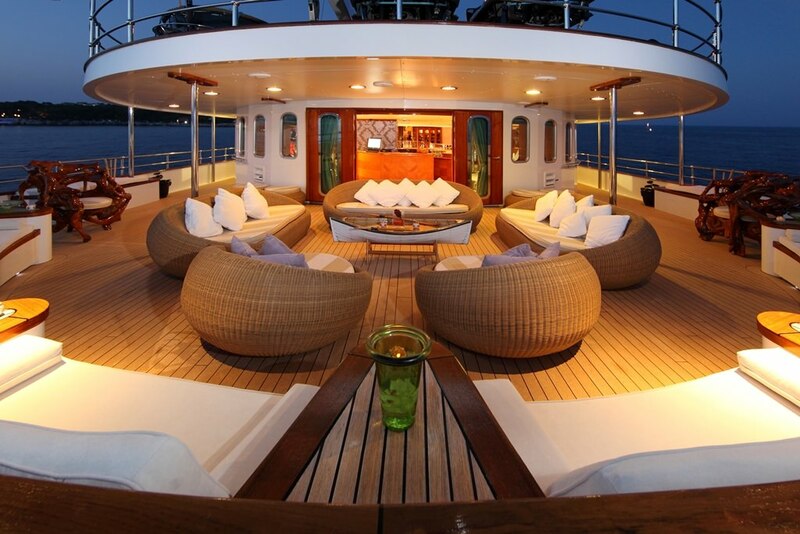 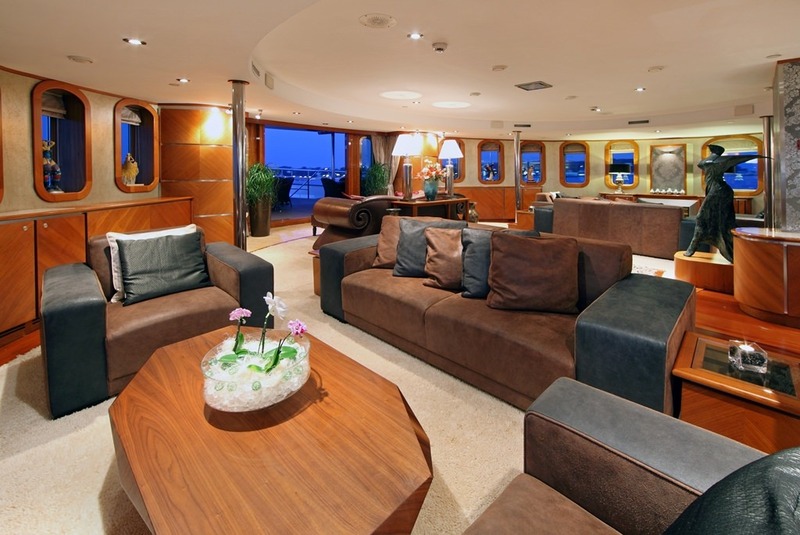 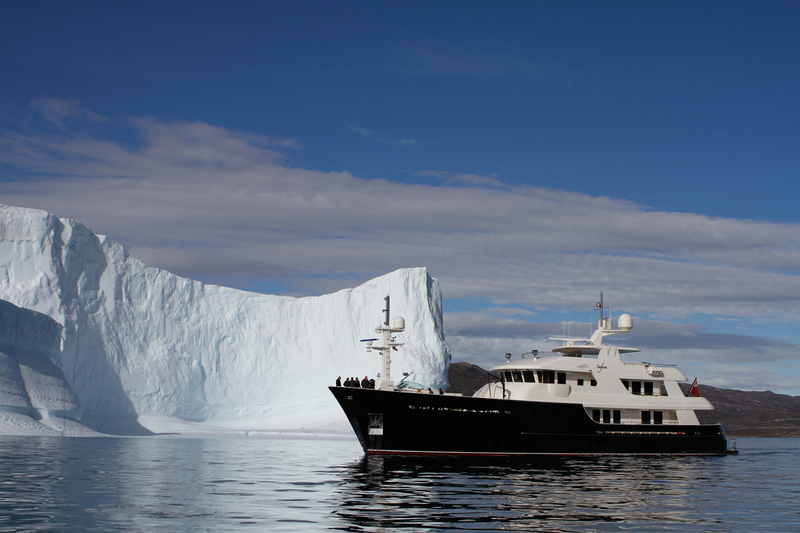 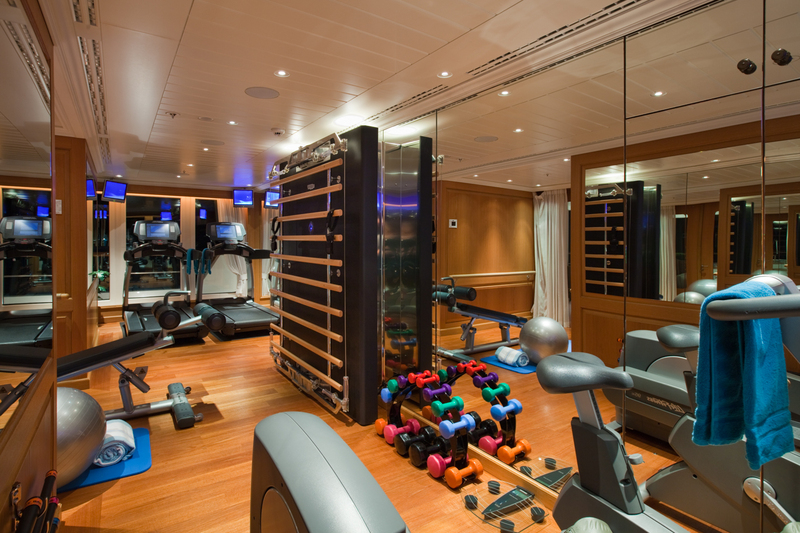 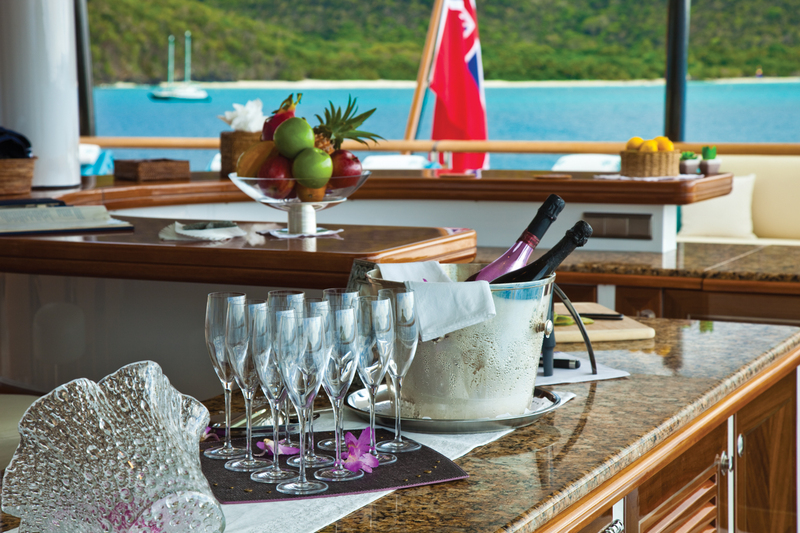 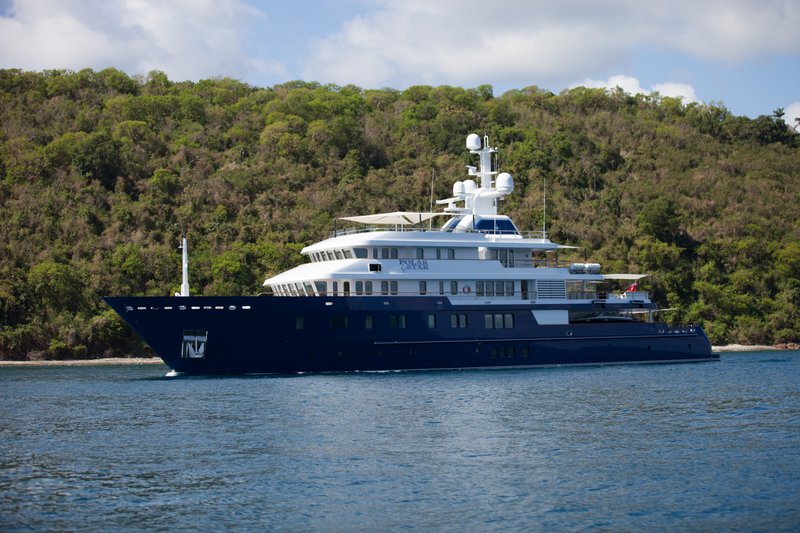 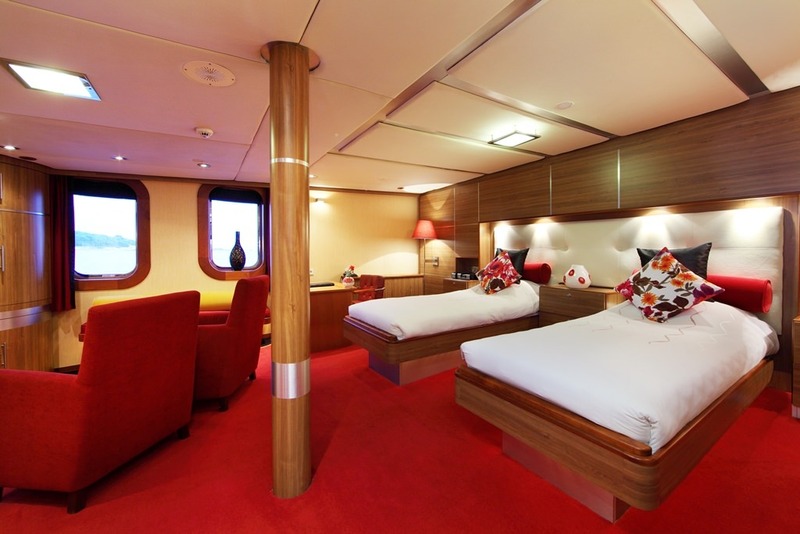 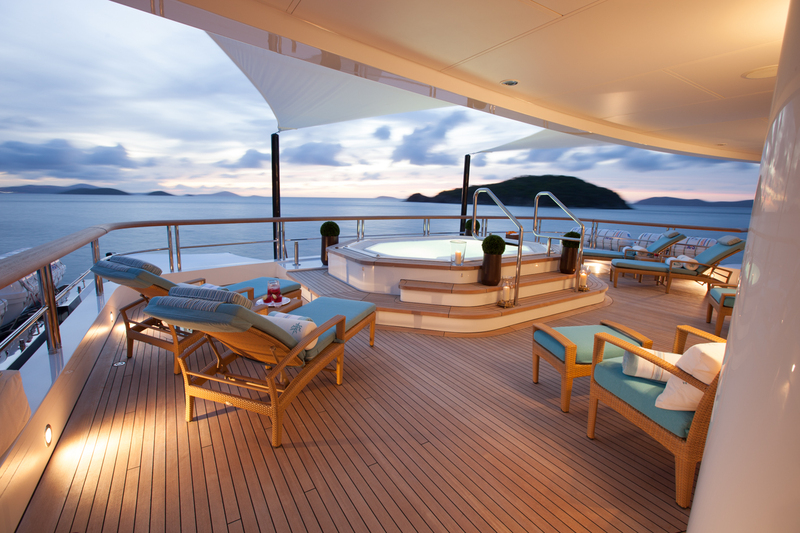 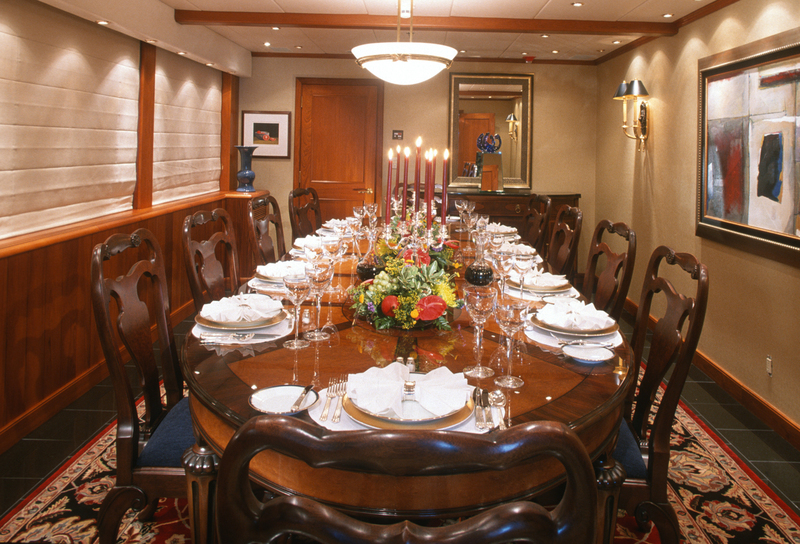 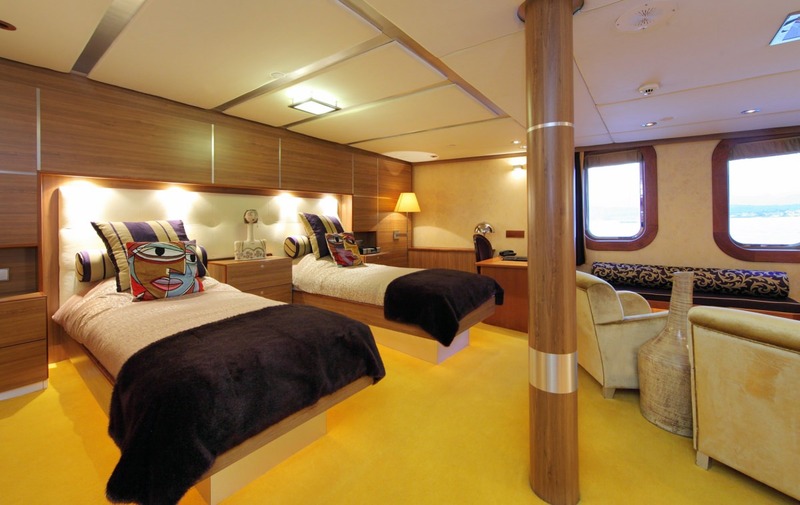 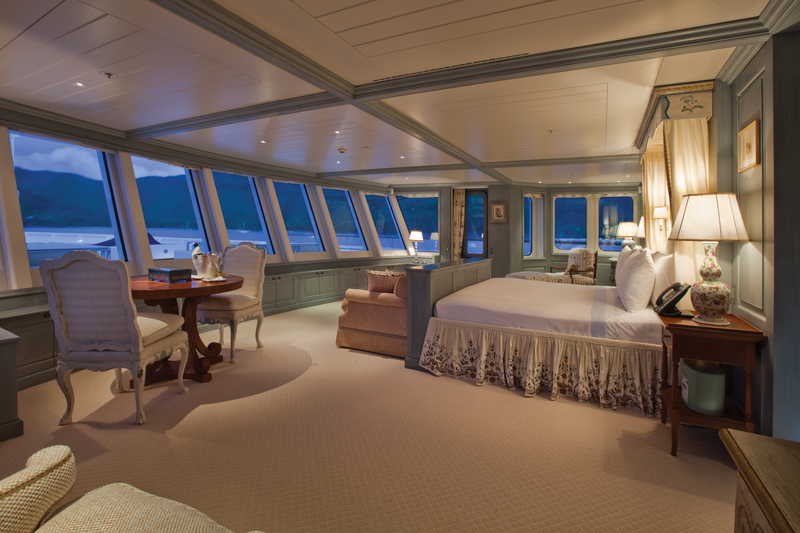 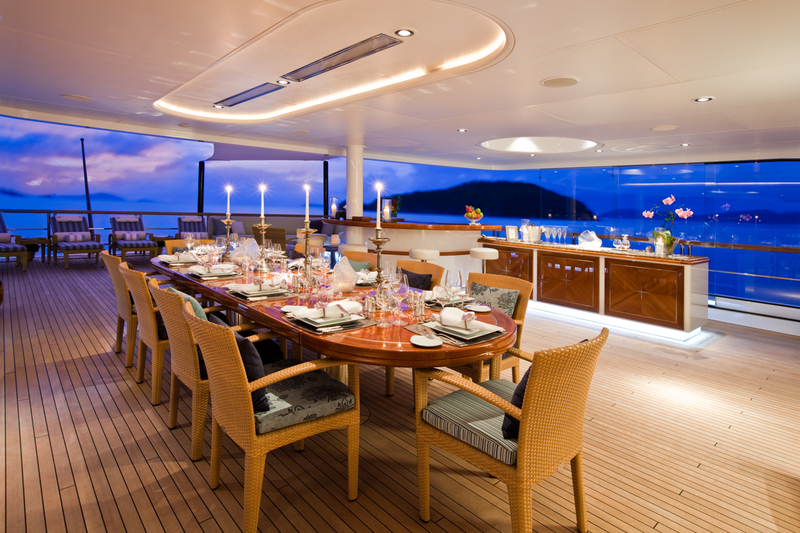 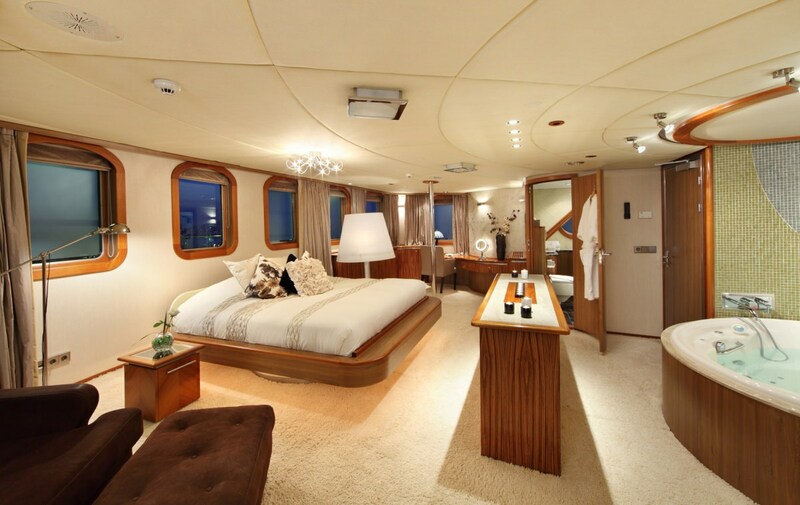 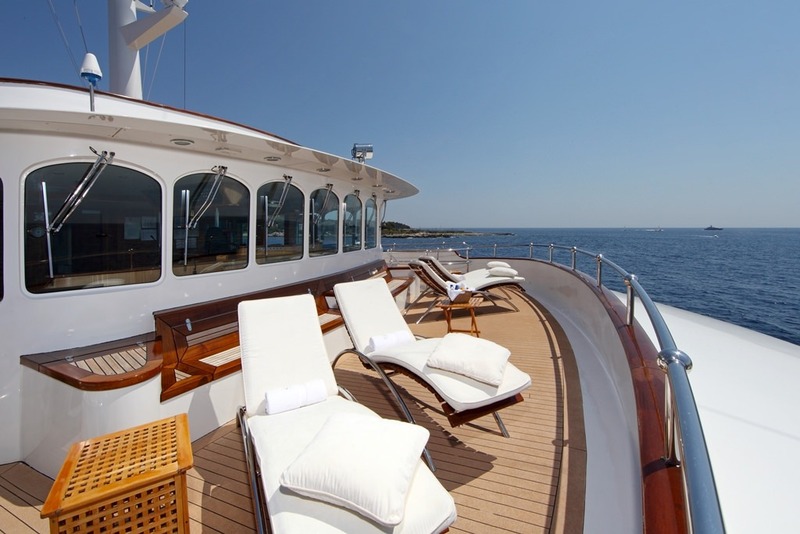 We have expedition yachts charters which boast swimming pools and supersized decks and cabins. 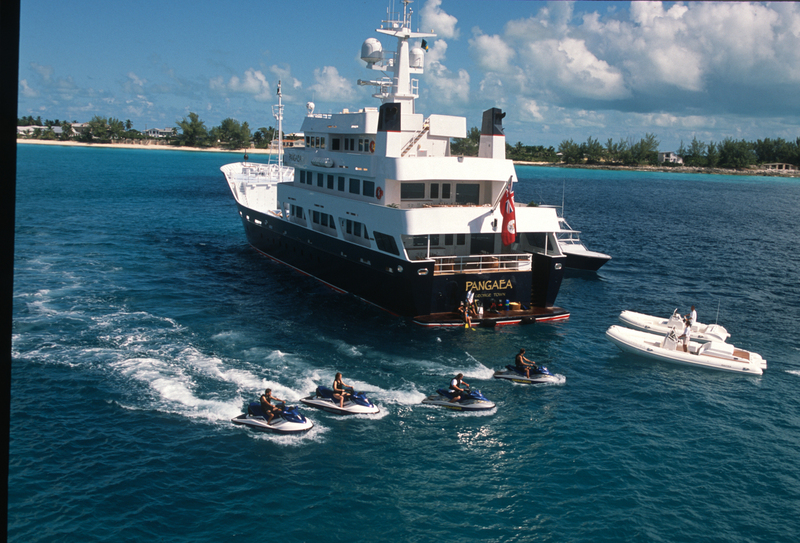 With extra space come extra toys and, usually, expedition yacht charters can take along many more (and bigger) water toys for you to enjoy. 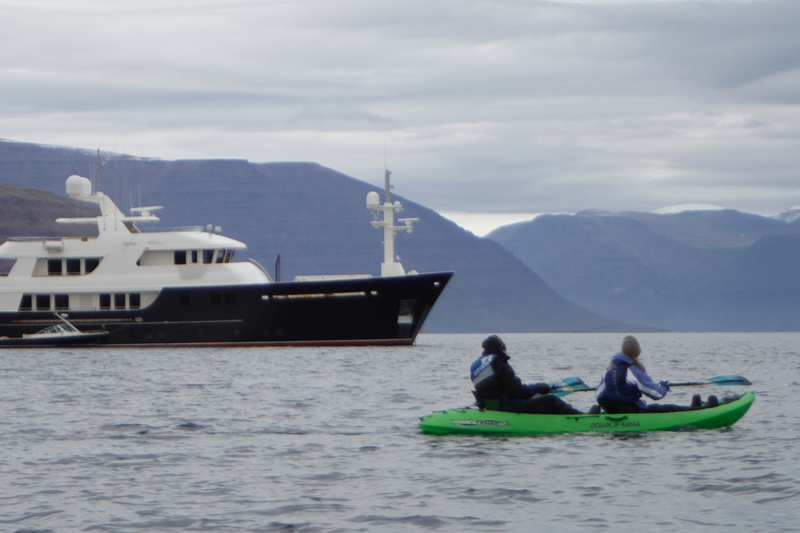 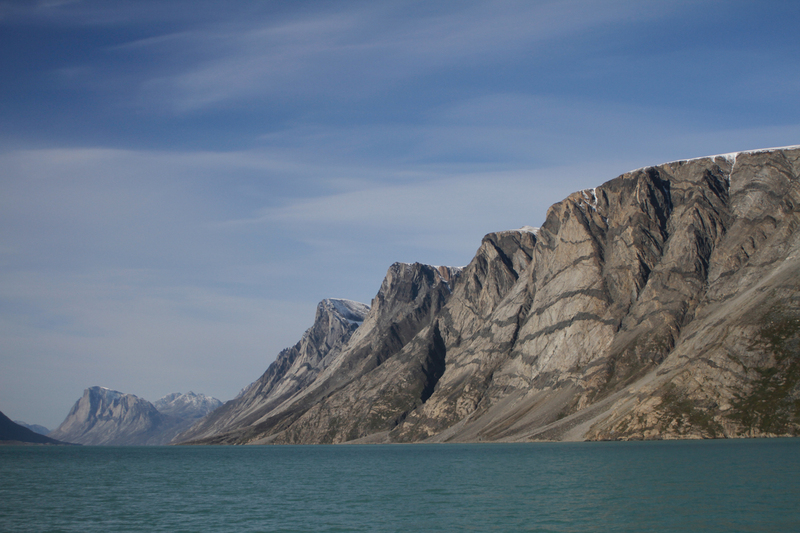 From jet skis to fishing gear, inflatable water toys, kayaks and diving/snorkelling equipment, along with sturdy tenders and even small sailing yachts for in-depth explorations of glaciers and inlets. 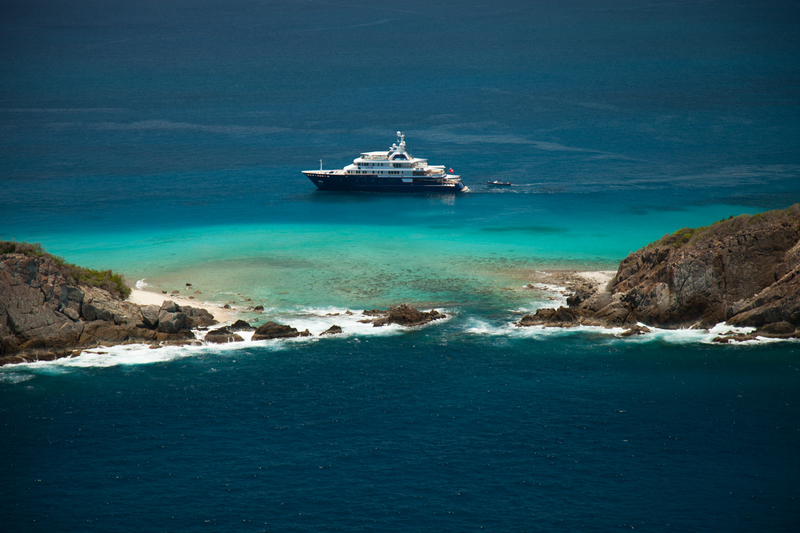 For extreme cruising in premier comfort, our expedition yacht charters just can’t be beat, so if you’re dreaming of being a modern-day sailing explorer and wish to get away from it all on your next luxury yacht charter vacation, then rest assured these expeditions will satisfy all your fervent desires. 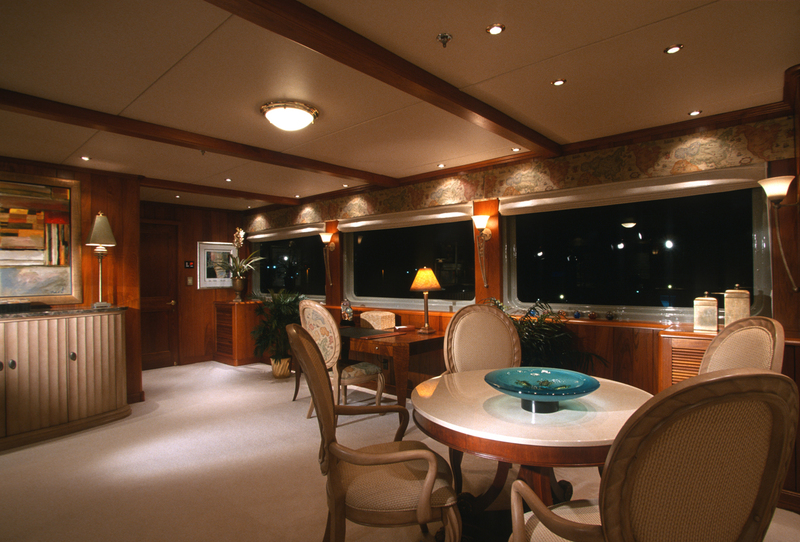 A Typical Example of a Expedition Yacht Charters Deck Plan. 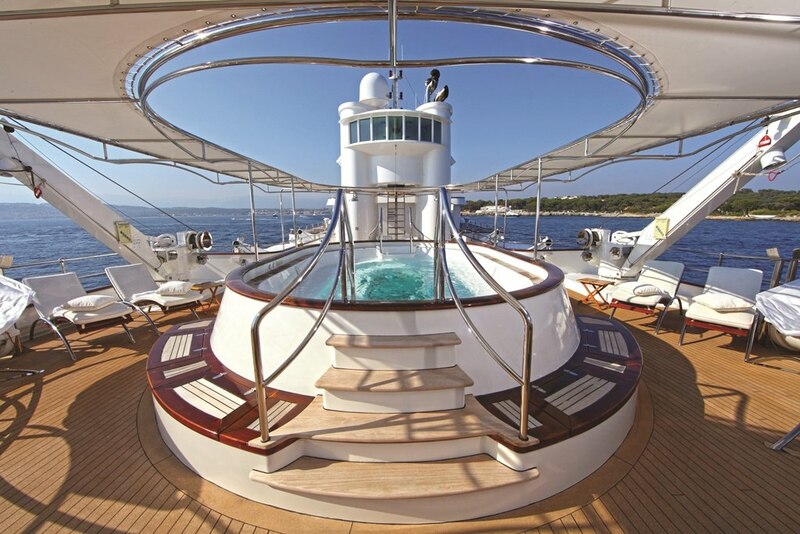 Deck Plan shown is for the yacht named Polar Star, a 208 foot yacht built by Lurssen in 2005 and refit in 2016.